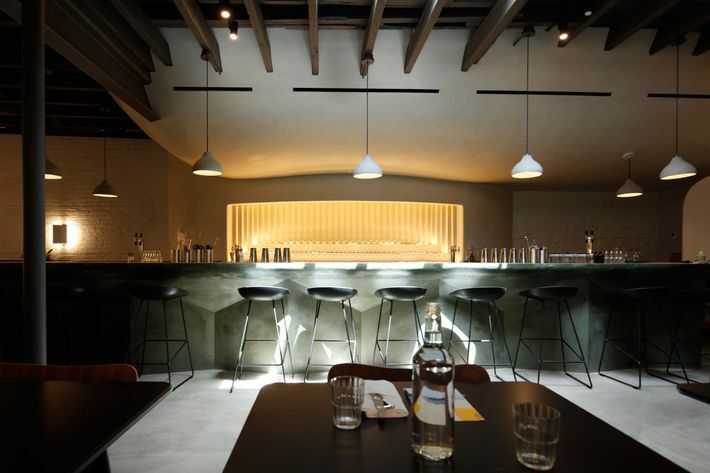 For her second project, Claire Chan wanted to expand on the premise of the Elk, but also to open a more properly expansive space. With its bright interior and handful of seats, the all-day café component of Bar Beau at first resembles exactly what one might expect from a Brooklyn outpost of her bustling West Village café — “It kind of has the same point of view as the Elk,” Chan says — but her new project comes with the bonus of a stylish 65-seat bar behind the coffee setup. 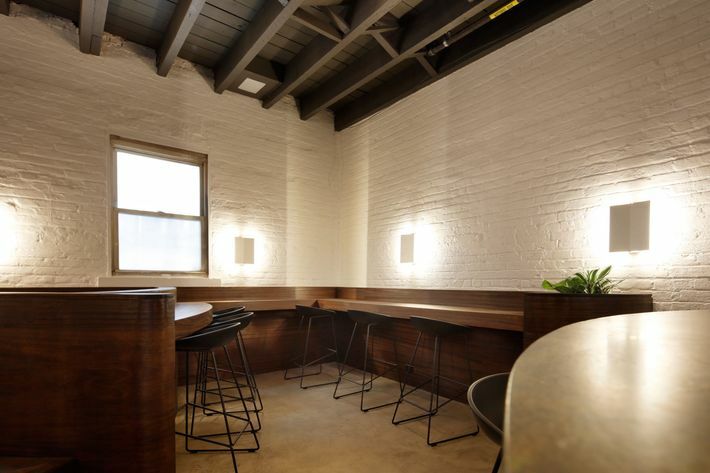 When it makes its debut next month, small plates and cold drinks will be served in the quasi-secluded space, which is accessible by going through the café and into a curved passageway. Up front at the now-open café, there are grab-and-go pastries from the likes of Bien Cuit and Ovenly, plus a selection of Raw Bliss Balls, the raw vegan snack dense with so-called superfoods like chia seeds and dates. 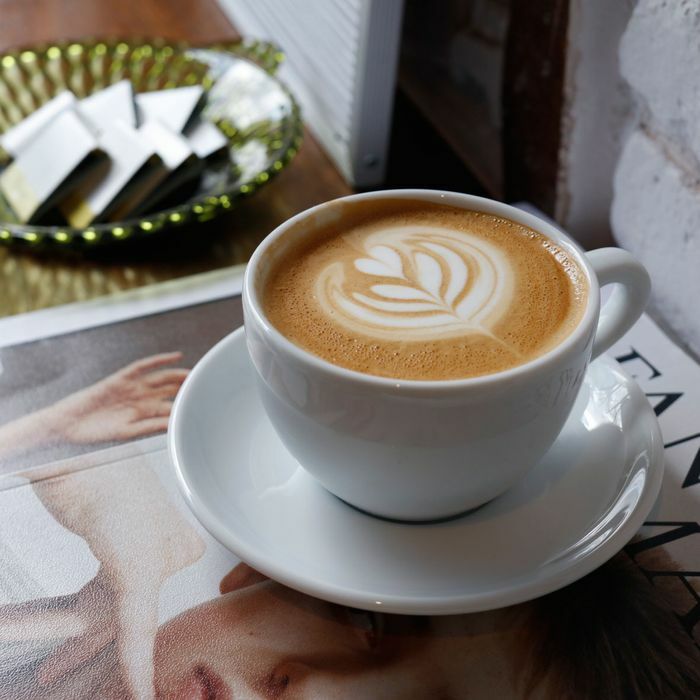 Brooklyn’s Parlor Coffee goes into all brewed and espresso drinks. The credentialed talent behind the scenes includes Isaac-Rae, the architecture and design studio, and the MP Shift, the illustrious team behind De Maria. Small plates were devised by chef-consultant Gil Calderon, formerly of Foster Sundry; head chef Gemma Kamin-Korn will be at the stove. 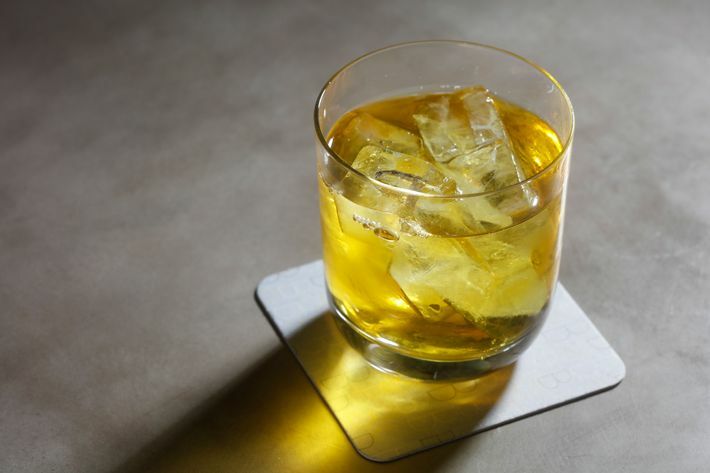 Beer and natural wine will also be served at Bar Beau, and bartender Grant Wheeler consulted on a menu that goes heavy on ingredients like Japanese whiskey, yuzu, and peppers. 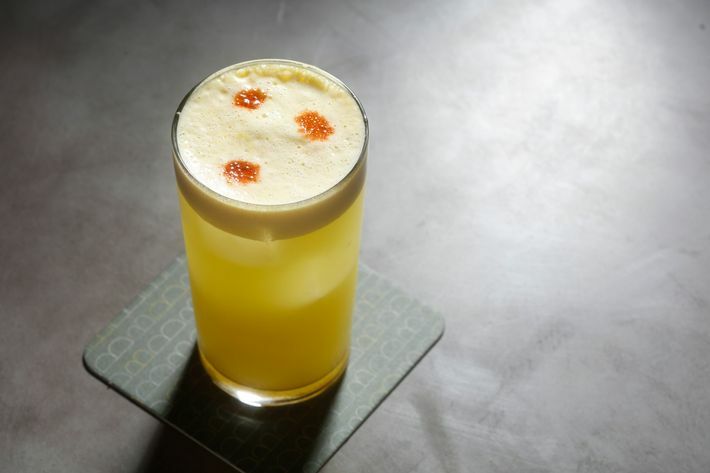 Eventually, ten house cocktails and 15 small plates will be served. 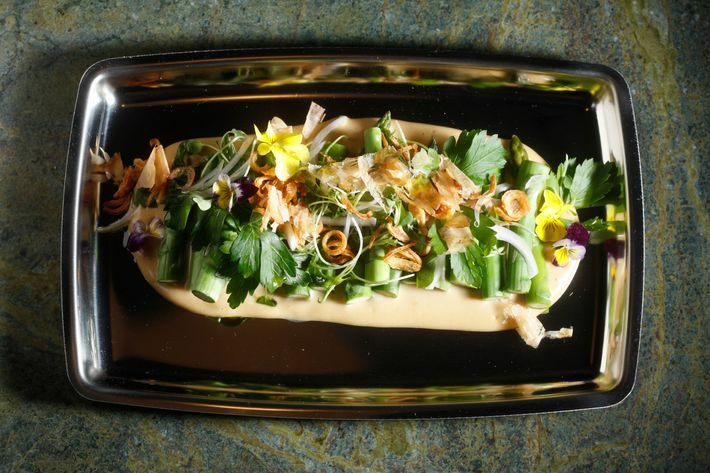 Both menus, in fact, are replete with Japanese ingredients. 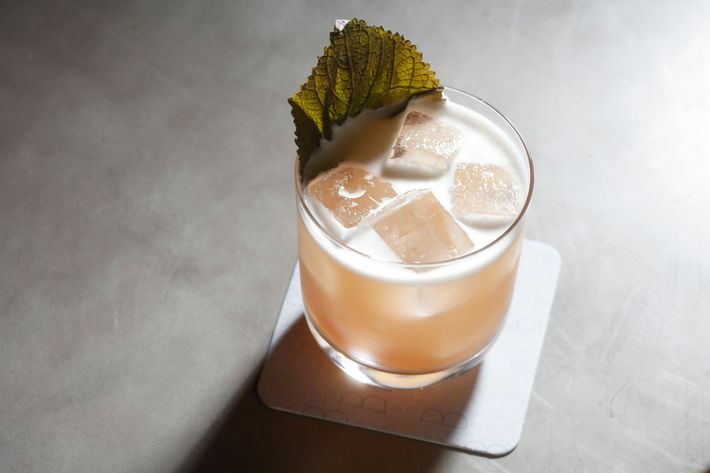 In a format similar to the Elk, Chan says she wanted to imbue the bar’s identity with restrained cues from the Pacific Northwest, where she’s from, without tipping into full-fledged fusion territory. 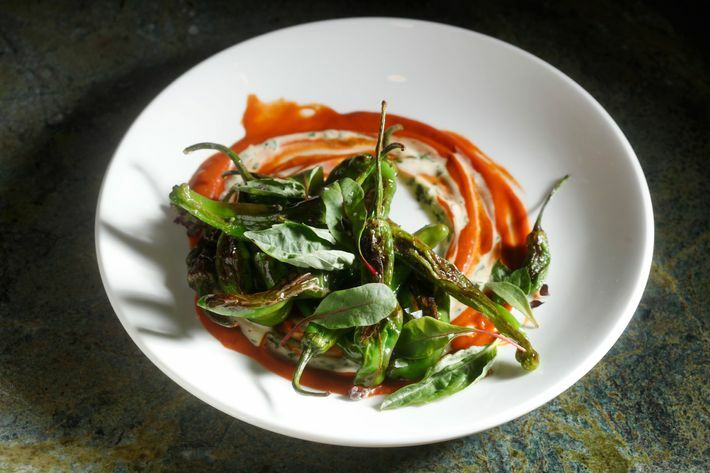 In terms of food, that means blistered shishito peppers laid out with Kewpie mayo, licorice-like Thai basil, and Romesco sauce, along with asparagus spears with tonnato, cress, and toasted bonito flakes. 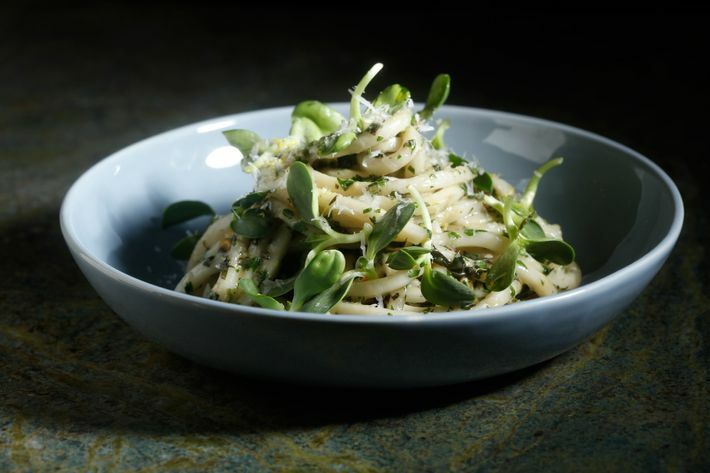 A bowl of warm udon noodles comes swirled with shiso pesto, lemon, and Grana Padano. 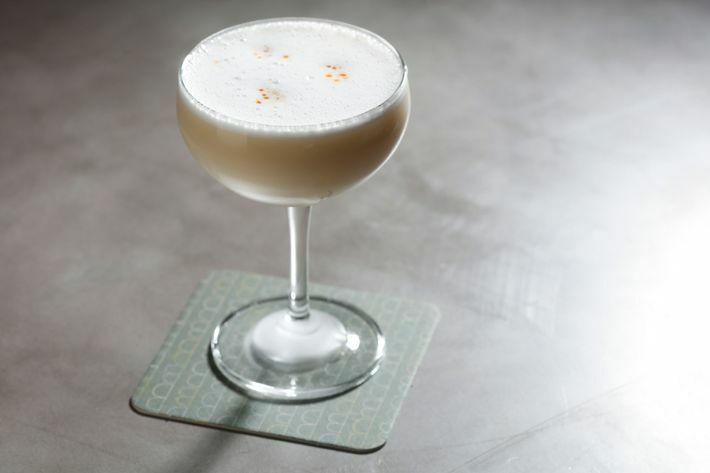 A drink called Tall Trees involves floral gin from Northern California, smoky mezcal, and bitter gentian. A drop of hemp oil adds a resin-like note, and a smoke gun is used to coat the glass with a sprig of torched Douglas fir.